Learn from others that have previously started companies. Gain education in a variety of business topics. Be exposed to funding opportunities. Gain the tools necessary to successfully launch a business. 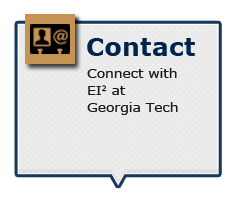 In addition, as the business outreach organization for Georgia Tech, EI2 is able to help connect startups with the larger Georgia Tech network of partners, which includes our industry clients, faculty, staff, students, research, technology, and services of other units on campus. 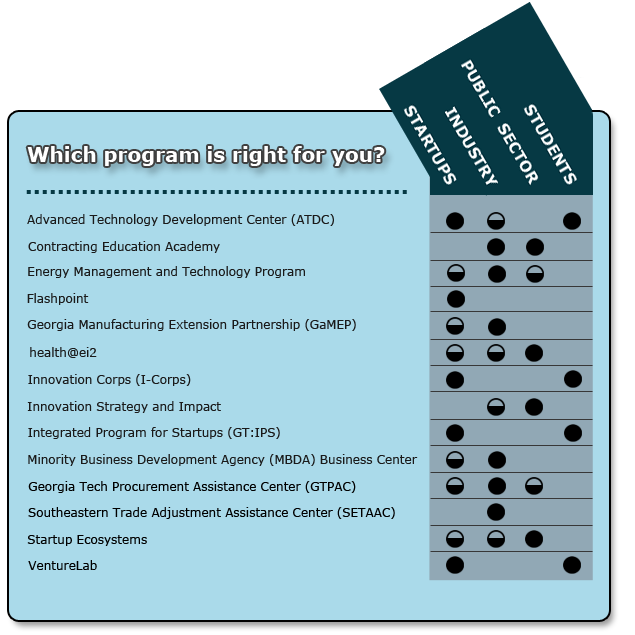 Advanced Technology Development Center (ATDC): provides coaching, connections, and a community to foster the development of technology startups in Georgia. Flashpoint: helps early-stage startups minimize risk and accelerate growth through a process called Startup Engineering. Innovation Corps (I-Corps): prepares scientists and engineers to extend their focus beyond the laboratory and fosters entrepreneurship that will lead to the commercialization of technology. 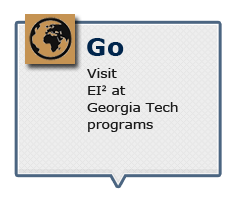 Integrated Program for Startups (GT:IPS): provides training and support to Georgia Tech faculty and students interested in launching companies based on Georgia Tech intellectual property. 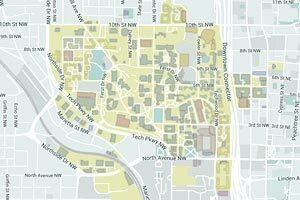 VentureLab: transforms the innovations of Georgia Tech faculty, research staff, and students into companies. Economic Development Lab: helps entrepreneurs and small businesses foster value creation by applying innovative ideas, technology and policy to initiatives focused on economic growth. Energy Management and Technology Program: utilizes research by world-renowned faculty and conducts projects with the energy technology startups to assist the overall state and federal mission of managing energy consumption. Georgia Manufacturing Extension Partnership (GaMEP): helps manufacturers increase top-line growth and reduce bottom-line costs through strategic planning, innovation management, process improvement, ISO standards, sustainability, and energy services. 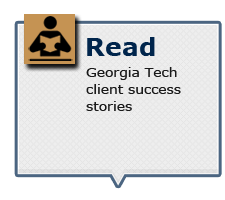 Georgia Tech Procurement Assistance Center (GTPAC): helps Georgia businesses identify, compete for, and win government contracts in order to sustain and grow their businesses. Minority Business Development Agency (MBDA) Business Center: helps Minority Business Enterprises (MBE) with accessing capital, increasing profitability, creating jobs, and becoming sustainable. health@ei2: provides assistance and support to communities and organizations to help improve individual and population health.